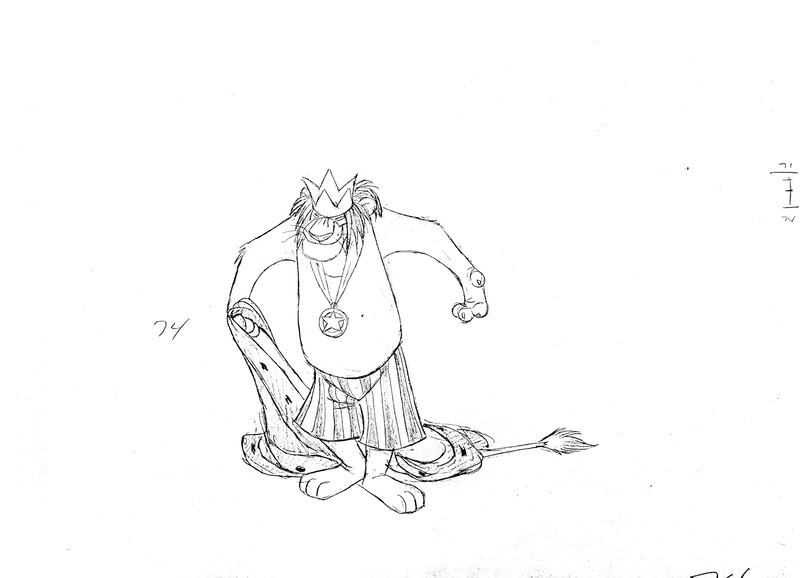 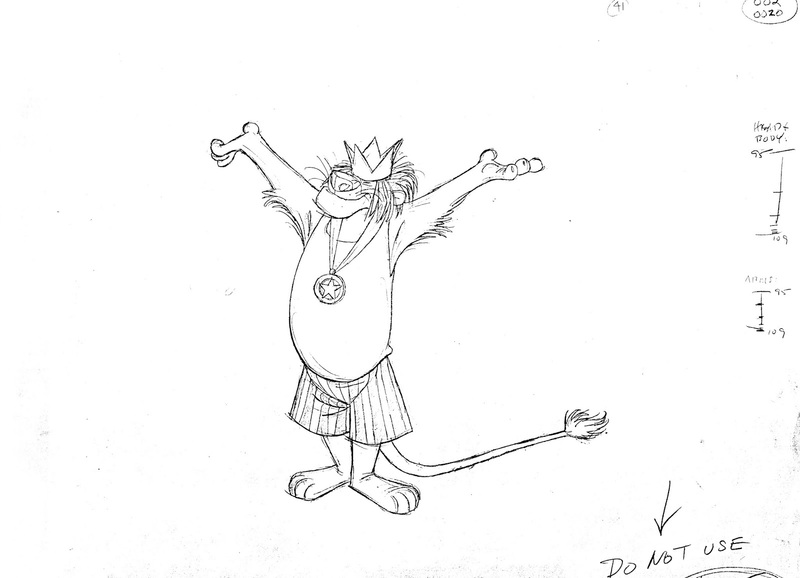 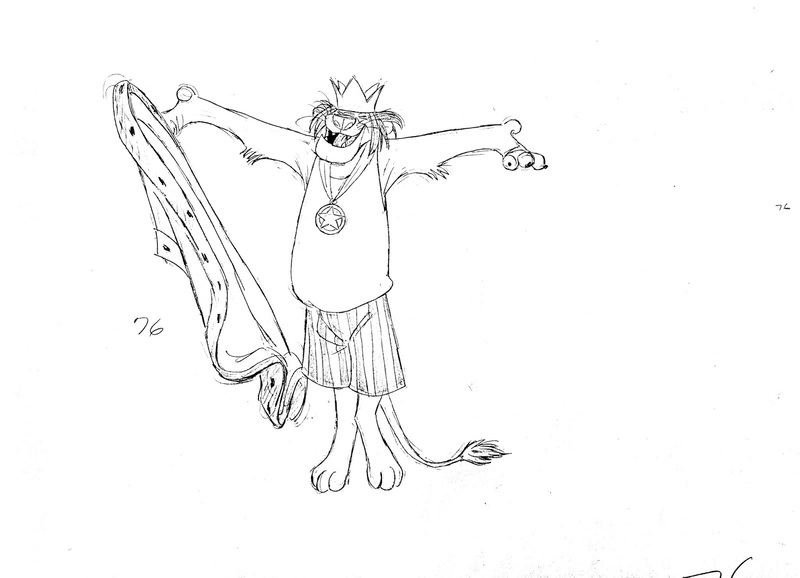 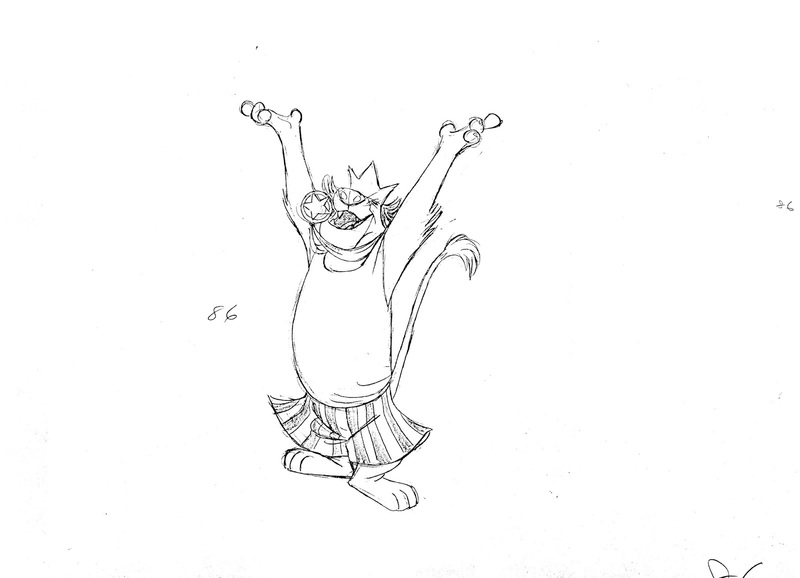 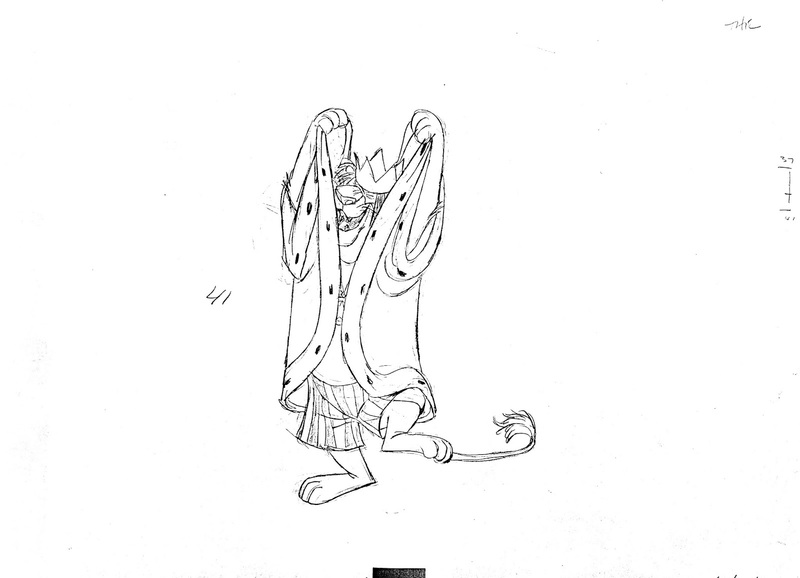 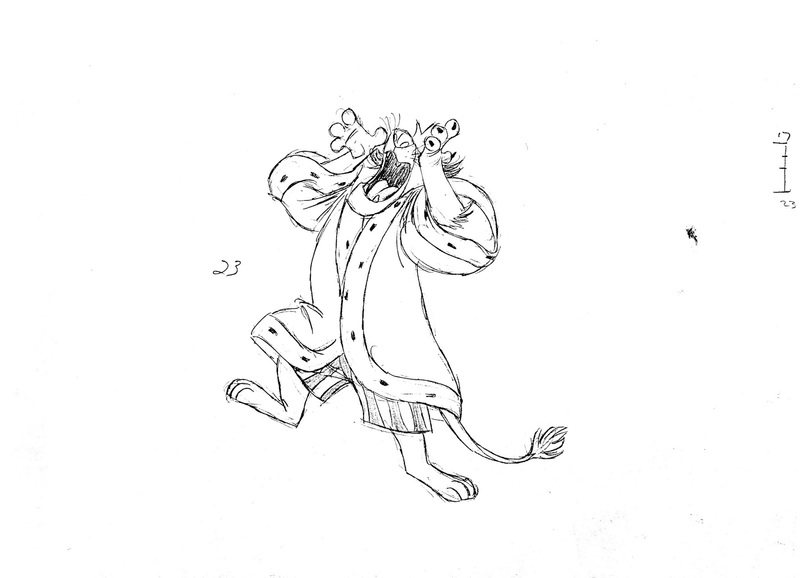 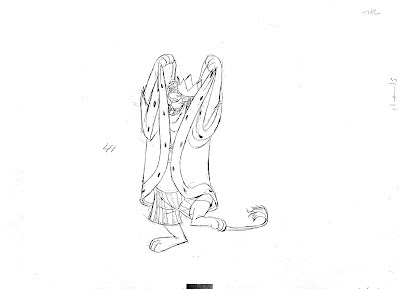 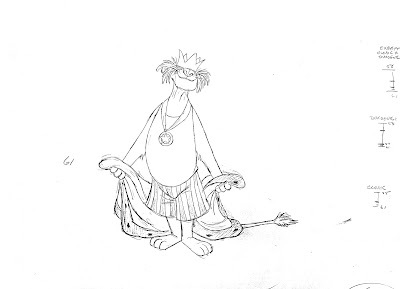 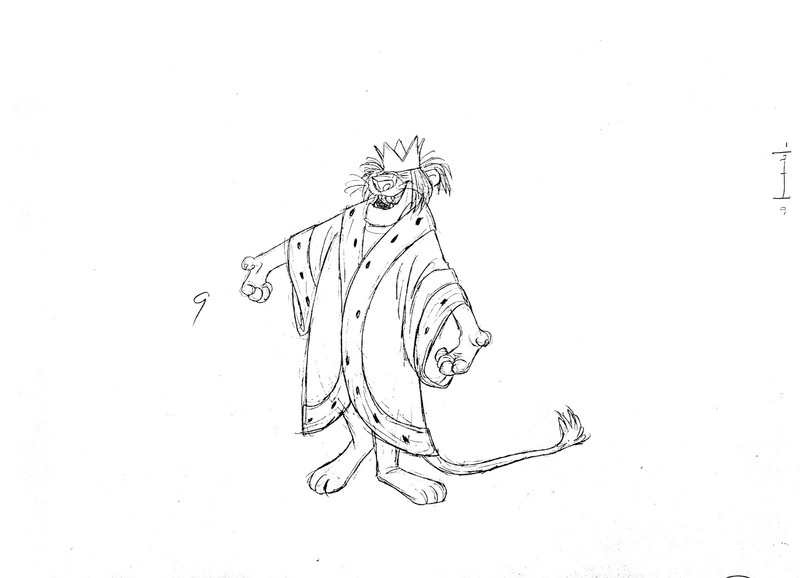 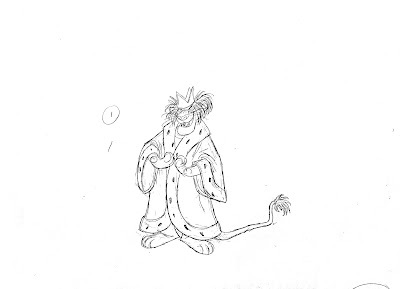 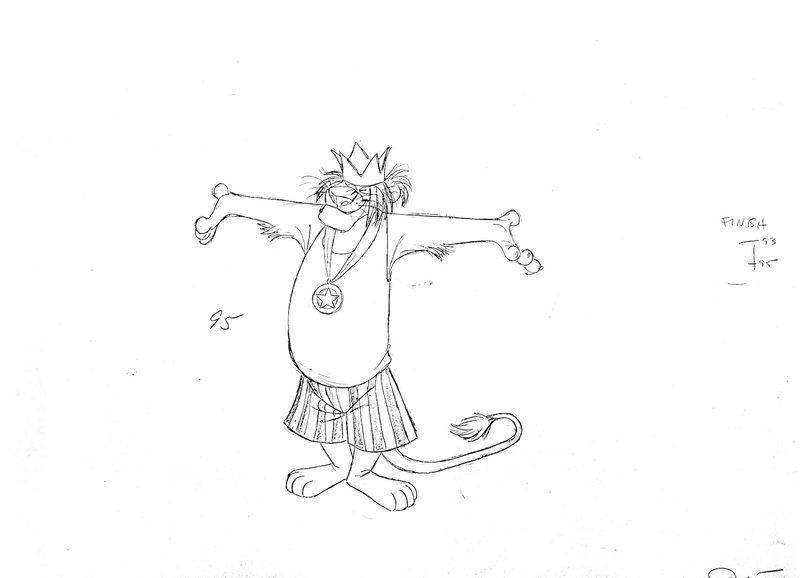 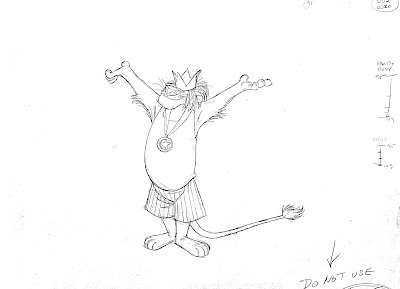 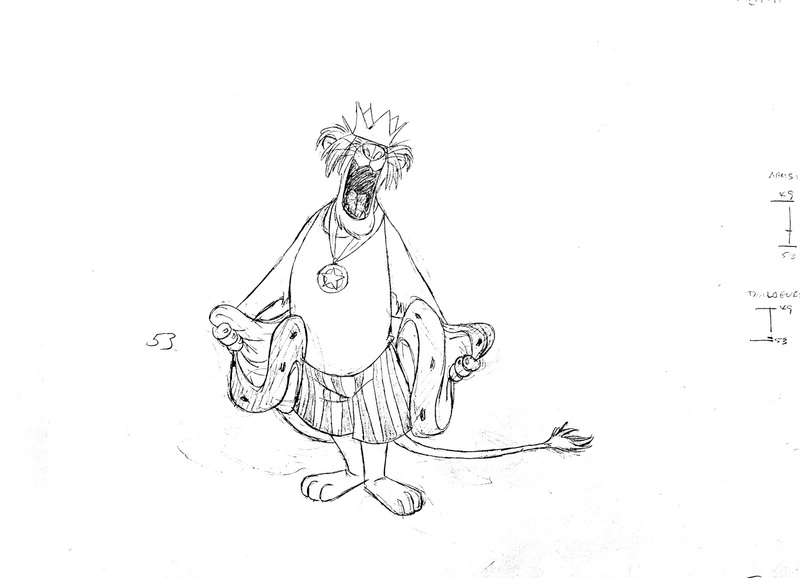 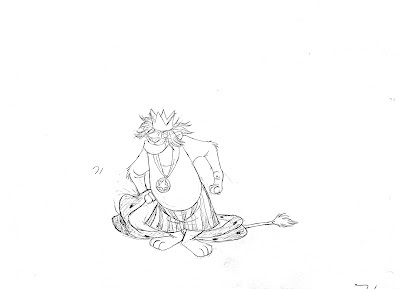 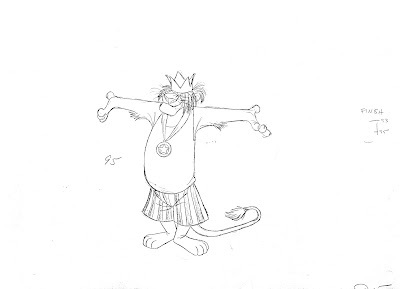 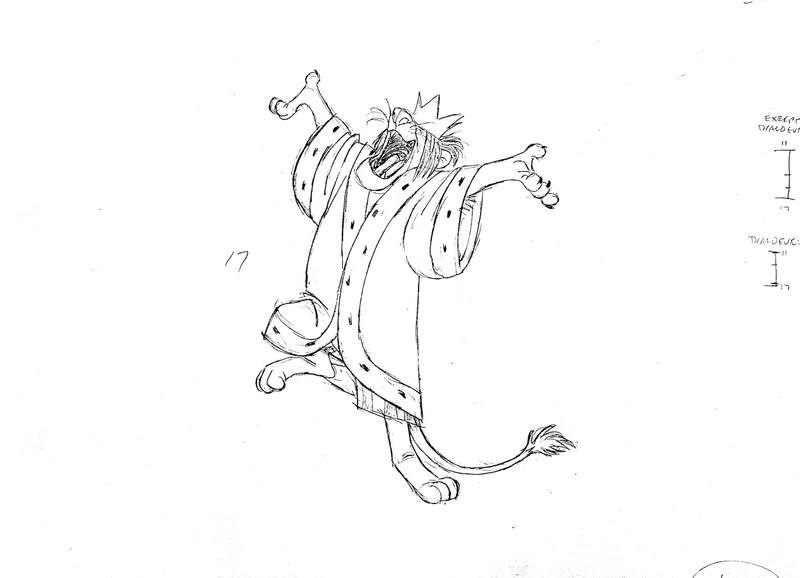 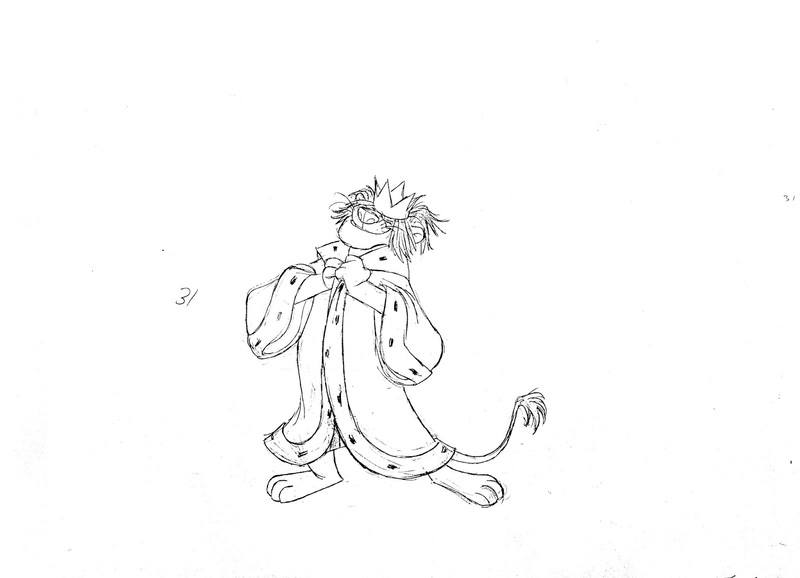 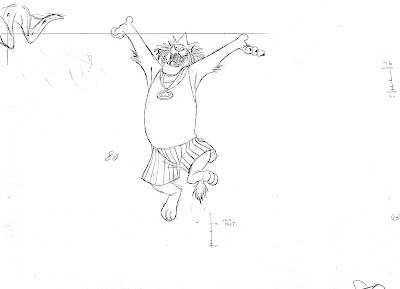 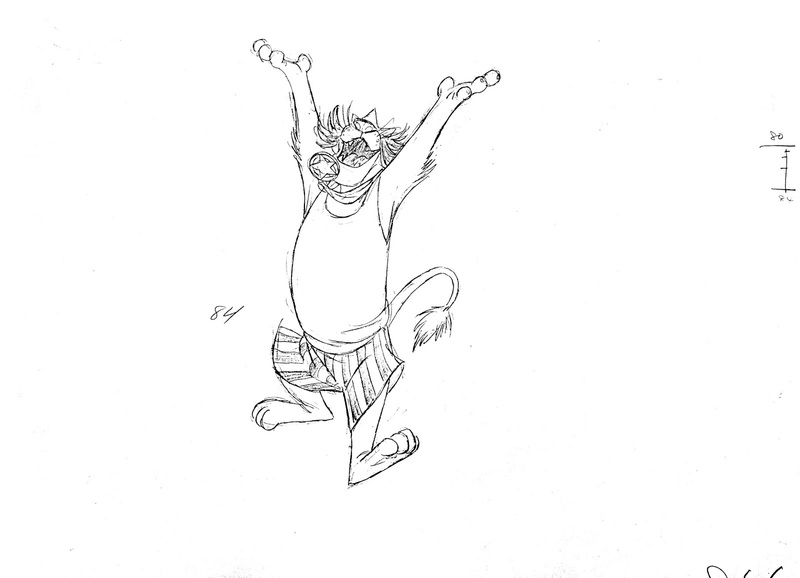 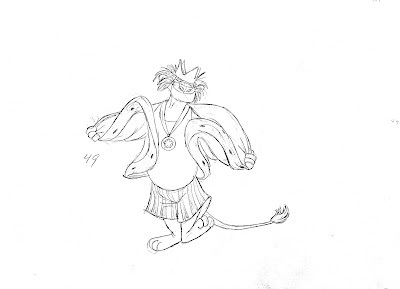 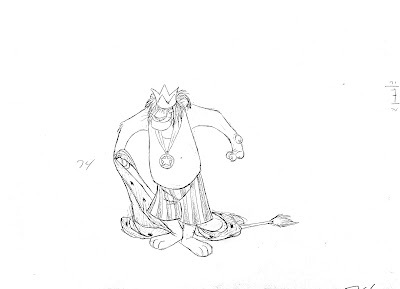 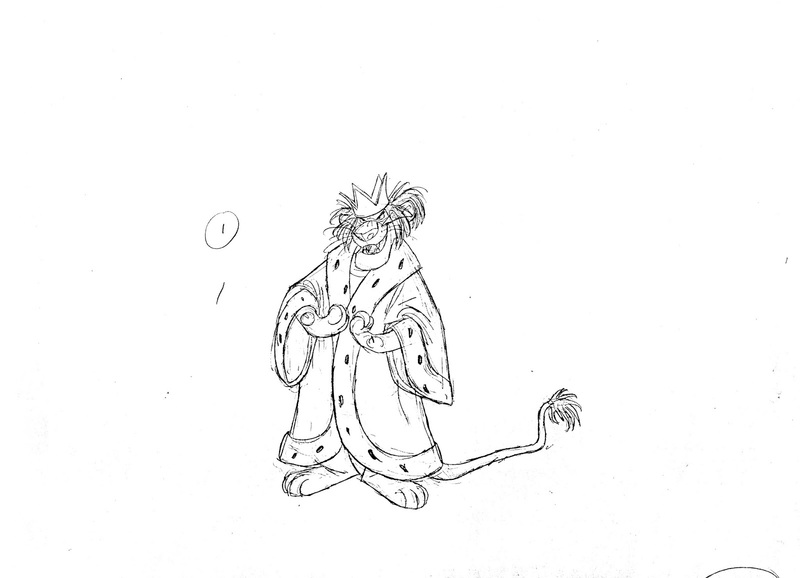 Another great Milt Kahl scene from the film Bedknobs and Broomsticks. 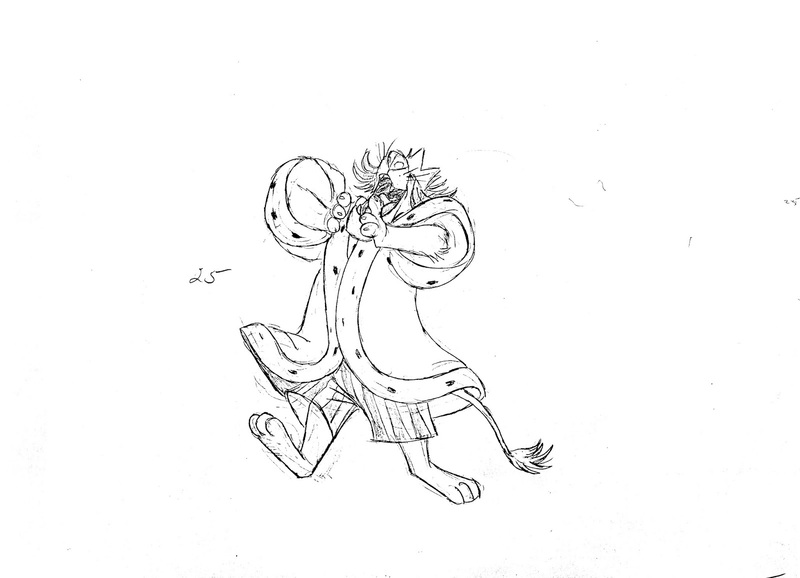 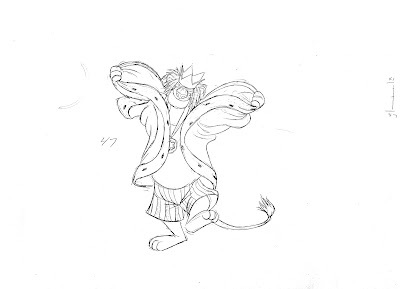 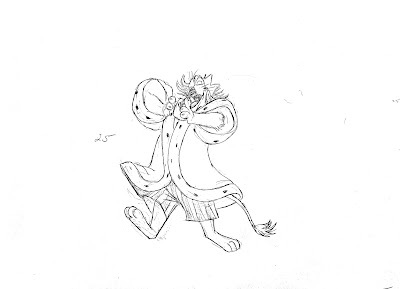 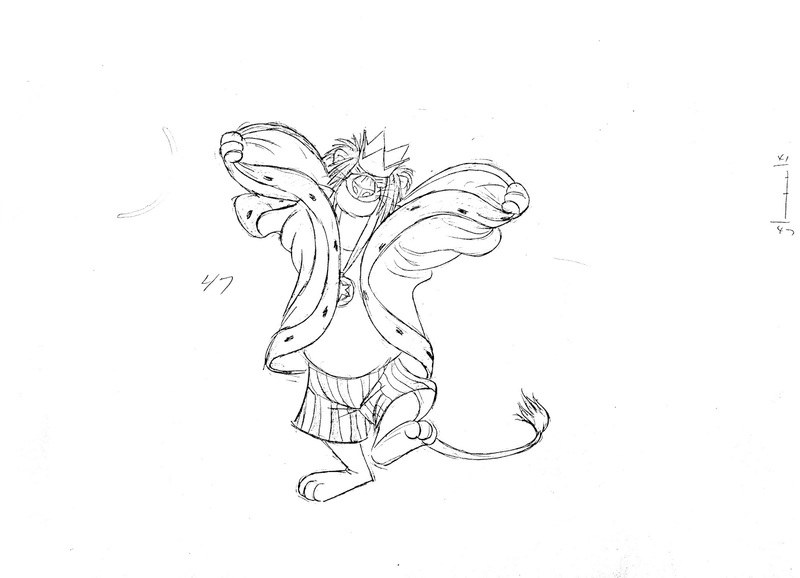 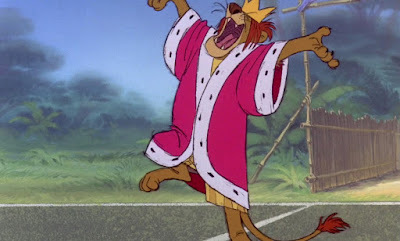 The King is getting rid of his royal coat as he announces the start of the soccer game. 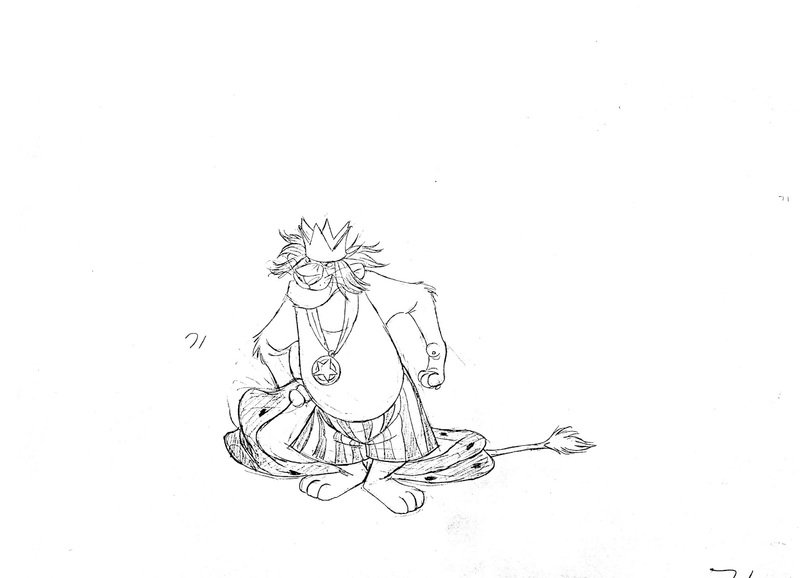 A couple of steps forward and a hop at the end help to punch the dialogue' accents. 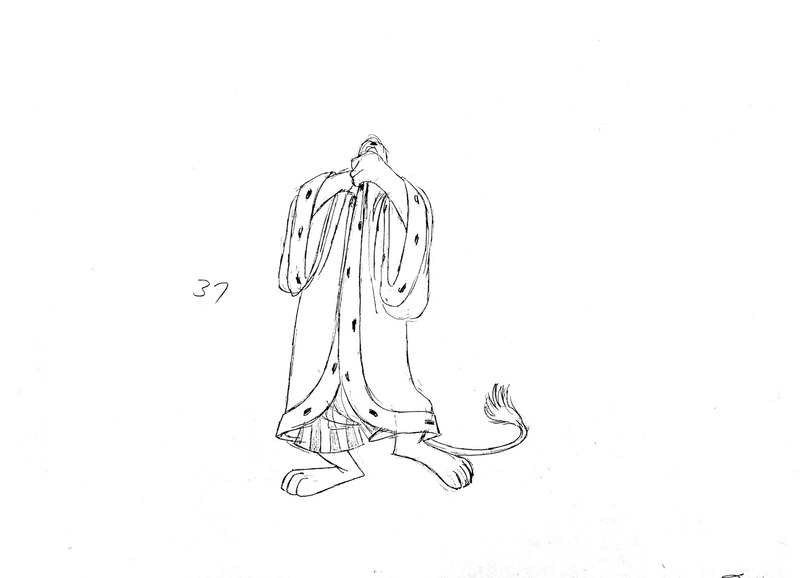 And what great treatment on the folds of that coat. 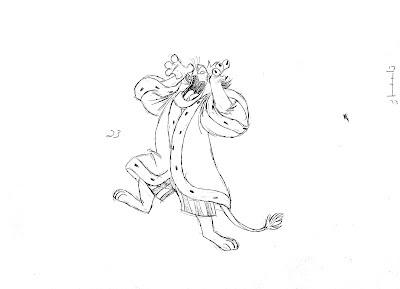 The way Milt draws and times its overlapping action gives the coat a real sense of weight.